Why do I need to use inrush current calculators to select an inrush current limiter? An Inrush Current Limiter (ICL) can protect electrical equipment from overheating when switched on because of inrush current. And, because inrush current equals the maximum instantaneous surge of incoming current from a power source, it can be as much as 2 to 3 times the steady state current of the attached device. 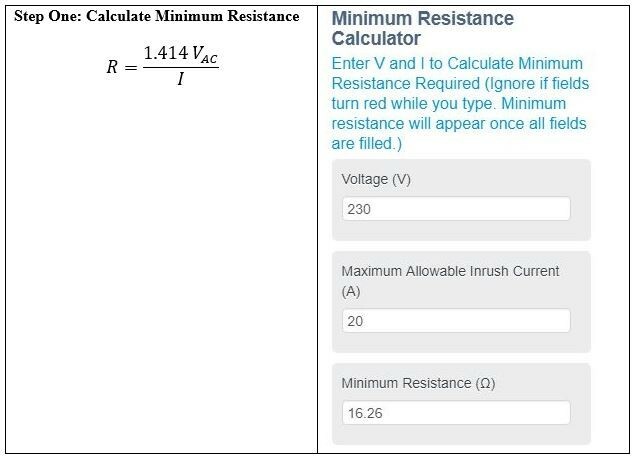 Inrush Current Calculators are the best way to measure the resistance versus temperature curve to get the right Inrush Current Limiter. Switching power supplies, DC motors, and lighting ballasts can develop extremely high peak inrush current at turn-on unless you implement inrush current protection. Additionally, magnetic devices that produce alternating current such as electric motors or transformers can draw as much as 30 times their steady state current at switch-on. Without protection from inrush current, the only limits to the amount of inrush current drawn are the line impedance and the equivalent series resistance of a capacitor. 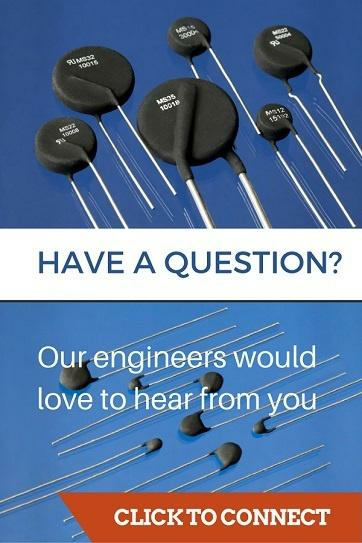 Based on these facts, one would think that because today’s circuit systems run more efficiently and maintain lower impedance, inrush current would not be an issue. Unfortunately, that is not the case. In fact, the overall efficiency of low impedance also contributes to high inrush current, increasing the possibility of equipment overheating during start-up. Using inrush current limiters will help ensure that systems do not overheat due to inrush current. On our website, you can view our full line of inrush current limiters and learn how to reduce inrush current. How do I Select the Right Inrush Current Limiter for My Application? Inrush current limiters are designed with different characteristics like resistance versus temperature curve to accommodate numerous applications. Because of this, it is necessary to make some calculations based on your system requirements to select the best inrush current limiter for your needs. Current Situation: A 1500-watt switch mode power supply trips a 20-amp breaker at turn-on due to high inrush current. How do you stop the breaker from tripping? Solution: You should add an Inrush Current Limiter to reduce high inrush current at turn-on which should stop the breaker from tripping due to the high inrush current. 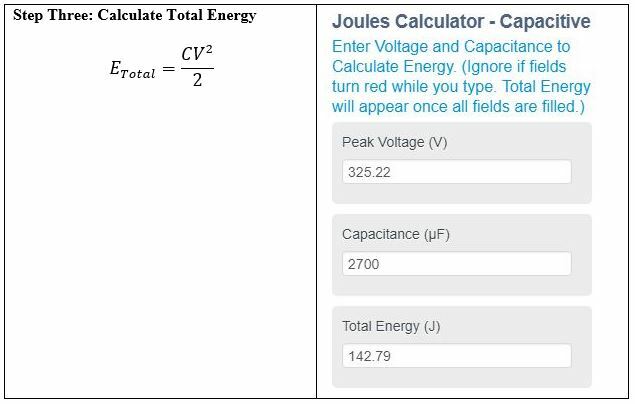 Even if your missing capacitance and, or scope trace, you still need to determine the total energy to select the right Inrush Current Limiter. Should this be the case, outlined below is a formula you can use as a “Worst Case Scenario” alternative to estimate the total energy requirements. If filter capacitor is not available, then assume the duration of inrush to be one (1) cycle, and that one cycle equals 60 Hz which translates to 0.0167 seconds. 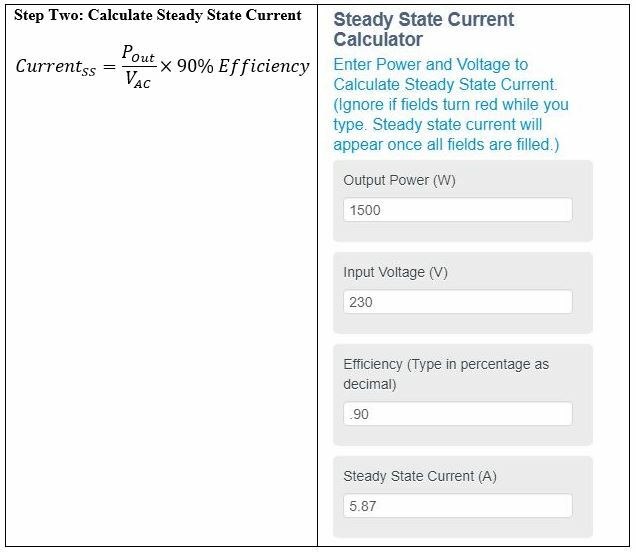 If scope trace is not available, assume that inrush current is 30 x the steady state current. The formula would look like this. Visit Wikipedia for more information on inrush current, its causes, cures, and prevention.